Earn $1.43 in Rewards credit (143 points) What's This? 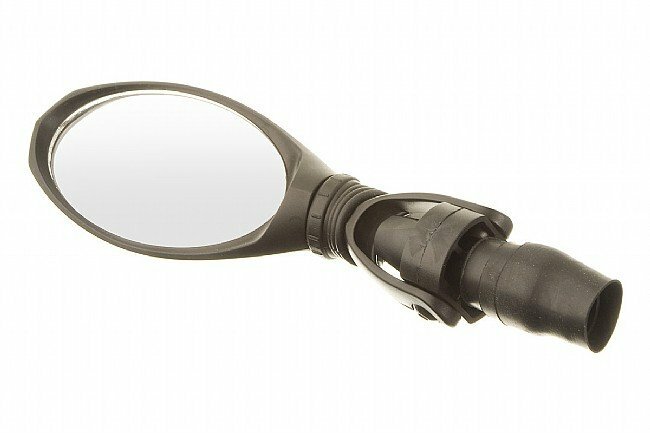 Ride safely with the Blackburn Multi Mirror. 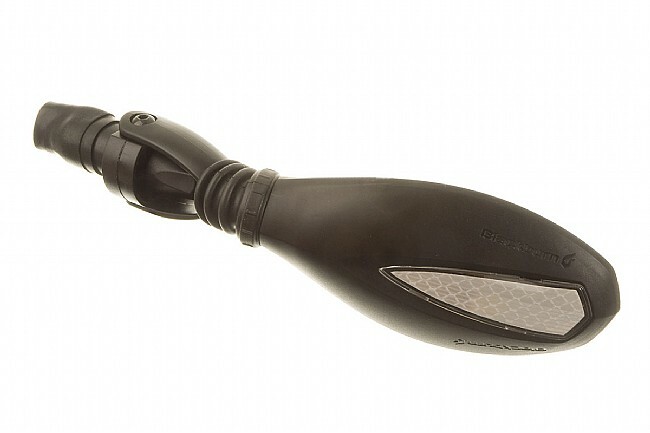 This universal design installs at the end of road or MTB handlebars for extra visibility when navigating the streets. A front reflector improves visibility with oncoming traffic and its pivoting design offers easy adjustment. The mirror folds and unfolds with just enough resistance to keep it from slipping once it is adjusted. It's easy to adjust while riding and large enough to give a clear view of approaching riders or traffic. If you fall on the mirror you may have to glue it in the handle bar. Product is better than I initially thought! Initially I was please with the installation simplicity but bummed because road vibrations made it impossible to use effectively. But playing with the mirror adjustments I found a nut which eliminated all vibration issues I was having. My opinion is that mirrors are a must when riding on the road and this product fits the bill for me! This mirror turned out to be junk and actually fell off my bike when not looking and was never found. The screw to tighten to the handle bar is horrible. Thanks for your review! I am sorry to hear your mirror fell off during a ride. Our staff has not experienced this with the Blackburn mirror in the past. Be sure to get in touch with our customer service department at [email protected] if there is anything we can do to help.